Businesses have a lot to gain from implementing Progressive Web Apps. This new technology is already being used by top players. Google, AliExpress, and FlipKart reached a 50-100% increase in retention and conversion rates. Here are a couple of things about PWA worth mentioning from the business perspective. What’s more, they bridge the gap between responsive web pages and mobile apps. PWA technology expands the common understanding of web pages. Progressive Web Apps can be saved on desktops like native Android or iOS app. The developer community has already noticed the great potential of Progressive Web Apps. We observe launches of new web stores each week that bring significant benefits for business owners. Let’s recap the most amazing among them. Progressive Web Apps match the mobile-first approach. This means that stores developed with PWA will function on mobile devices without any issues. PWA combines the UX of a native app with the benefits of the mobile web. Stores with PWA run smoothly both as a web page and native app. Stores built with PWA save up to 75% of the costs of a native app (both development and maintenance). With PWA you simply don’t have to make a separate native app, it’s enough to adjust your storefront. PWA works offline, allowing the user to keep on browsing even without an internet connection. With any other web store, a user would have to drop this. PWAs uses headless architecture. It’s all about separating the frontend from your backend eCommerce platform. With this approach, PWA can be added to eCommerce platform by API in just 3 months. This includes a Proof of Concept. Loading time of PWA is at least 2-3x faster compared to responsive or m.dot web stores. Google mobile-first indexing helps it to express the high speed of PWA and it’s smooth performance on mobile devices. With faster loading time, PWA reduces server load. Your store won’t crash or slow down during periods of intense traffic. Browsing with PWA is seamless. This causes a huge increase in conversion rates. In the case of Petlove, PWA implementation resulted in a 2.8x increase in conversion and a 2.8x increase in time spent on site. PWA apps are light. The weight of the apps is decreased by 80-90%. Just compare the Twitter native app 100mb+ with Twitter lite (PWA) 1.5mb! It’s compatible with Magento 1 & Magento 2, so you don’t have to migrate to Magento 2 right away. That is only the start. Depending on the solution you choose, PWA can drive your business to even more benefits like simplifying the management of your points of sales, upgrading the UX of your online store or even reaching new customers in areas of poor internet connection. 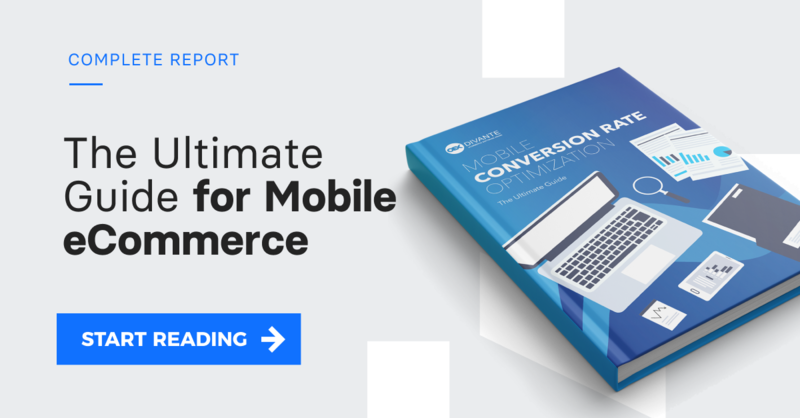 So, if you’re planning to upgrade your eCommerce to mobile, or you struggle with major issues like a long loading time or low conversion rates, definitely take a look at Progressive Web Apps. Learn more in The Beginners Guide to PWA.